Five months after the IRS issued guidelines to help business owners and tax advisers understand how the complex deduction works, accountants and tax attorneys still have questions. Even those who have attended seminars and workshops about the new law have come away scratching their heads, especially about a section that bars service providers like doctors, lawyers and consultants from claiming the deduction. Some of these company owners have businesses that don't easily fit into the IRS guidelines or proposed regulations the agency has also issued. "There's a lot of conflicting advice out there," says Jeffrey Berdahl, a CPA with RLB Certified Public Accountants in Allentown, Pennsylvania. "It's going to be like the Wild West." The deduction is aimed at giving tax breaks to sole proprietors, partners and owners of S corporations; these businesses are known as pass-throughs because company income "passes through" to owners' 1040 forms, where it is reported to the IRS. Before the law was enacted, many of these owners couldn't get the more favorable tax treatment enjoyed by traditional corporations, those known as C corporations. The new law allows many owners to deduct 20 percent of what's called qualified business income. They can get the full deduction as long as their taxable income doesn't exceed $157,500 for an individual and $315,000 for a married couple filing jointly. But taxable income includes owners' and spouses' earnings from outside the business — for example, being employed in a different field or industry — and earnings from investments. The guidelines the IRS issued in August aren't set in stone although the agency said taxpayers could rely on them in compiling their 2018 returns. The agency has issued proposed regulations, and tax professionals have already asked the IRS to clarify a number of issues, including which service providers can claim the deduction. For example, the New York State Bar Association, which asked the IRS for multiple clarifications, said many taxpayers, including those who and rent a small number of real estate properties, may be uncertain about whether the deduction applies to them. 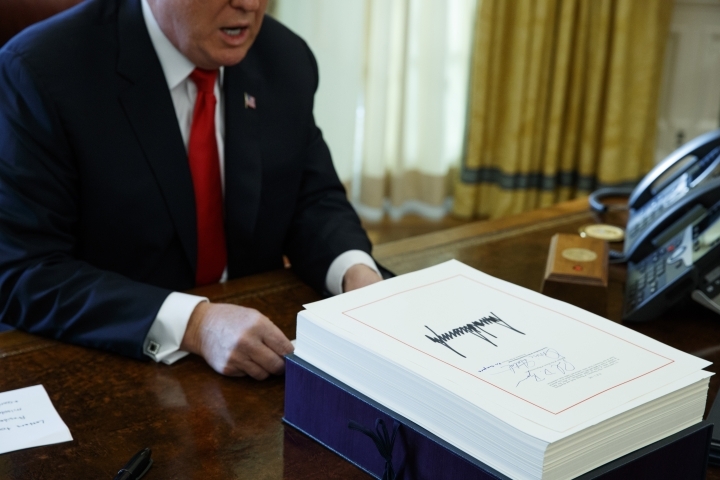 "It may be wise to do so with more clarity coming from Congress or Treasury," says Reitmeyer, a CPA with Marcum in Philadelphia. However, he says, "with the government shutdown, and the political atmosphere surrounding tax policy, it may take well into the summer to gain any clarity at all."